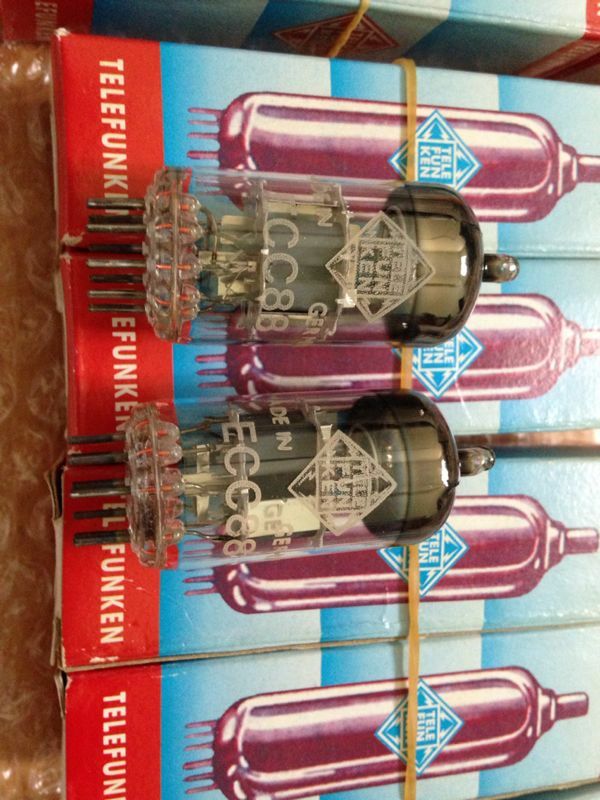 This pair of Original Telefunken ECC88 or 6922 Tubes (NOS) are hard to come by. Origin : Germany - 1960’s. Characteristics : Solid vocal and staging with deep low bass and good dynamics. Price : RM880.00 for a matching pair (Shipping not included). Please contact us at 012-614 3049 (Ms Wee)or 016-725 5372 (Wendy) for further details or to arrange for viewing at our showroom situated at Taman Melaka Raya, Melaka.